Although the winter has been drier than usual here in Northern Colorado, the temperatures have definitely been cold across the region. This has left many homeowners relying on their furnaces to stay warm and cozy inside. No one wants to discover that their heater is broken when record-low temps are forecasted, and knowing how to recognize the warning signs of a furnace that’s in trouble can save you the hassle of unexpected, emergency replacement. As your go-to source for Loveland furnace installation and replacement, Bears Family Plumbing, Heating & Cooling is here to help ensure your HVAC system runs as it should all year long. Let’s take a look at some tell-tale signs that you need a new heater. If you have experienced a slight, but noticeable, increase in your heating bills over the years, this could indicate that your furnace is not running as efficiently as it could. Often times, simple repairs and frequent filter changes can help reduce efficiency issues. However, a sudden spike in your energy bills could indicate a much more serious problem that can only be remedied with a new furnace. Getting your furnace serviced on a regular basis is the best way to ensure it lasts as long as possible. 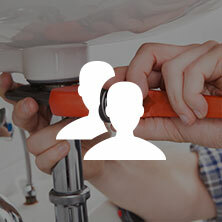 If you find that you are on a first-name basis with your local HVAC repair expert, then you may consider whether or not your net repairs exceed the cost of replacing your furnace. 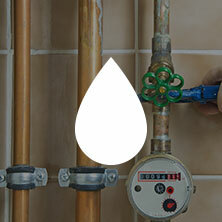 Frequent repairs add up, and it is often more expensive to limp an old system along than it is to replace it. Have you noticed that certain parts of your home are consistently colder than others, or that there are some rooms that seem to get no heat at all? If this is a new problem, it could be a warning sign that you need a new heater. This is because it gets harder and harder for furnaces to evenly distribute heat throughout a home as they get older. This causes many homeowners to adjust their thermostat frequently, which can result in higher energy bills. We all get used to the repetitive noises in our homes. For example, the whoosh of your hot water heater kicking on and the sound of external vents flapping in the breeze become hard to notice when you hear them frequently enough. Banging, rattling, buzzing, and humming sounds coming from your furnace should never be ignored, as these can indicate a major problem with the system. Furnaces are susceptible to wear and tear just like any other mechanical component of your home. If you see visible signs of wear and tear, such as rust or cracks, on your furnace, then it is best to call a repairman right away. Our Loveland furnace installation and replacement team can complete an inspection to determine if these signs indicate a repairable problem, or if you are better off replacing the furnace. Do you know how old your furnace is? 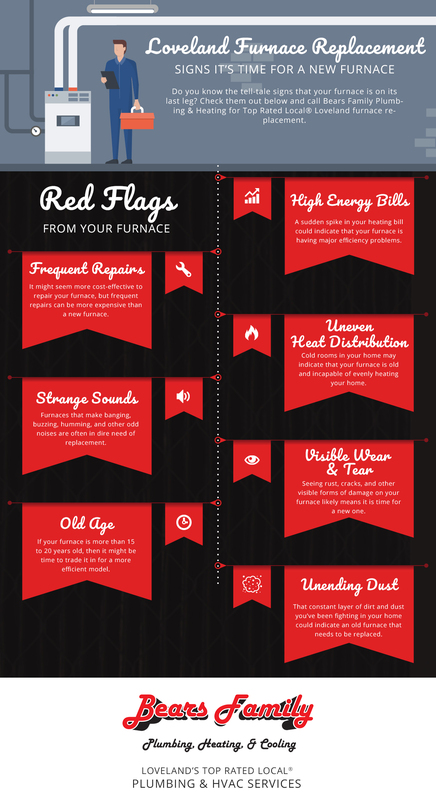 This is important to know because most furnaces only last between 15 and 20 years on average. The older a furnace gets, the more inefficient it becomes and the more likely it is to need replacement. Take a look at the sticker on your furnace. Along with the model number, it should have a manufactured date. If this is anytime before 2000 or 2005, it might be time to start researching new heaters. Finally, as furnaces age, they inherently collect and disperse more and more dust. Even with frequent cleaning and tune-ups, this can create a real problem with dirt, dust, and dander being distributed throughout your home when the system runs. If you have noticed that you just can’t seem to keep your tables, windowsills, and other horizontal surfaces free of dust, an old furnace could be to blame. Has your furnace been giving you any of the warning signs we reviewed in today’s post? If so, it is important to schedule an inspection with a reputable HVAC company as soon as possible. 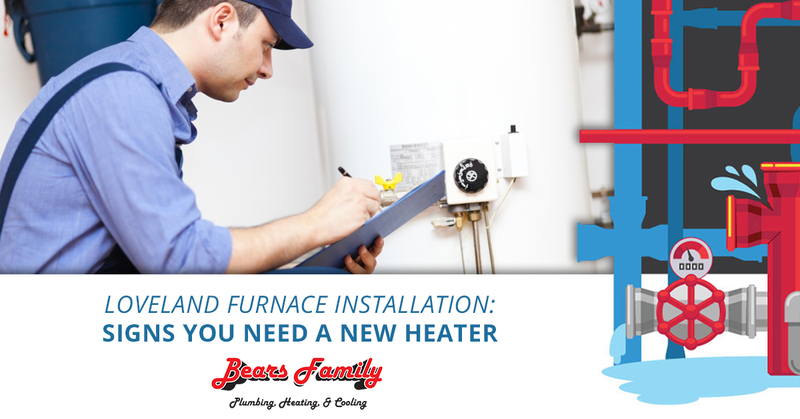 The team here at Bears Family Plumbing, Heating & Cooling offers Top-Rated Local® Loveland furnace replacement, and we are happy to help you with emergency HVAC services. However, if we can help you avoid unexpected issues with your heater, we want to do that, too. 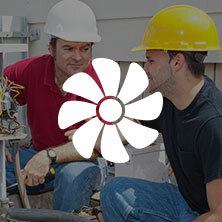 To speak with an experienced HVAC tech about any concerns you have with your furnace, give us a call at 970-901-5987. We look forward to helping you!